The winter holidays is approaching soon! Living in a tropical country like Indonesia, we often don’t get the chance to witness the beauty of winter season. So to prepare yourself for that dream winter holiday, check out our top selections website platforms that offer fantastic holiday trip packages for easy and breezy holiday! With various theme holidays you can choose from starting from cruise holiday, active holiday to self-drive holiday, you can find your dream travel itinerary here. With unique activities tied in to each tour package, you will never have a boring trip through this platform. With vast selections of countries to choose from, Yuktravel is the one stop solution for your easy and fun holiday. As we have written before about Meliyana Tjioe, she created this startup Gogonesia to promote Indonesian tourism. Ever since joining the acceleration program from Ideabox, Gogonesia has steadily built a following that loves their fun tour packages around Indonesia. Focusing on the islands all over Indonesia, it is the go to stop for your dream Indonesian travel experience. With 87.2% of indonesian population identifying themselves as Muslim in 2010, this platform that hails from Singapore is making it easier for Muslim travellers to find halal trips, flights, mosques and restaurants in various destinations all over the world. Users can either visit the website or apps to find their halal holiday packages that will make it really easy for them to find places that provide halal certified food, mosques and prayer facilities. 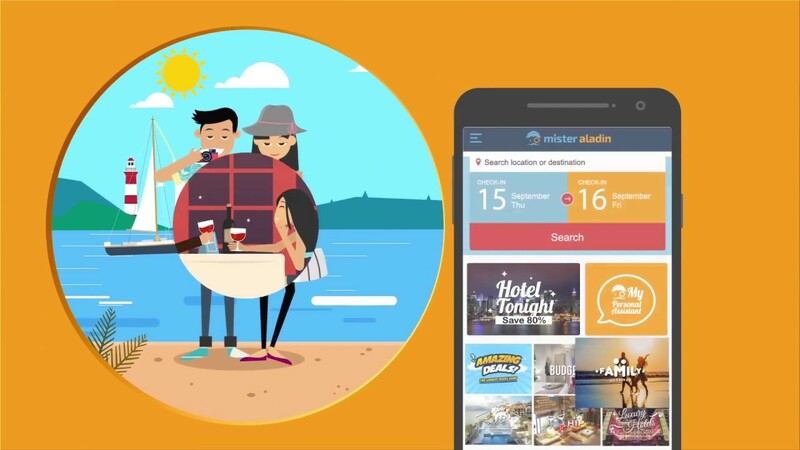 Mister Aladin is here to offer their unique tour packages divided into categories like tropical beach paradise, scenic city tours and nature enthusiasts, catering to various needs and dreams of travellers.They also provide e-ticket for various attractions in various countries, their latest feature is the plan my trip section where all you need to do is fill out a form to create your dream tour and submit the plan to Mister Aladin and the rest will be taken care of by them. With two main options, individual and group tour, winner of Corporate Image Award 2018 Panorama JTB provides vast selections of travel packages that is both luxurious and fun. They have plenty of options from group tour request where you can create your own travel itinerary and group members to travel promotions to countries like Europe and Japan.